I always wondered why gnocci were so expensive at restaurants. Answer: it’s not because they’re difficult – it’s because they take forever! But totally worth it in this case. I actually followed this recipe pretty closely since I’d never made anything like gnocci before. I even ran out for crappy white wine 5 minutes before the store closed when I realized I didn’t have enough. 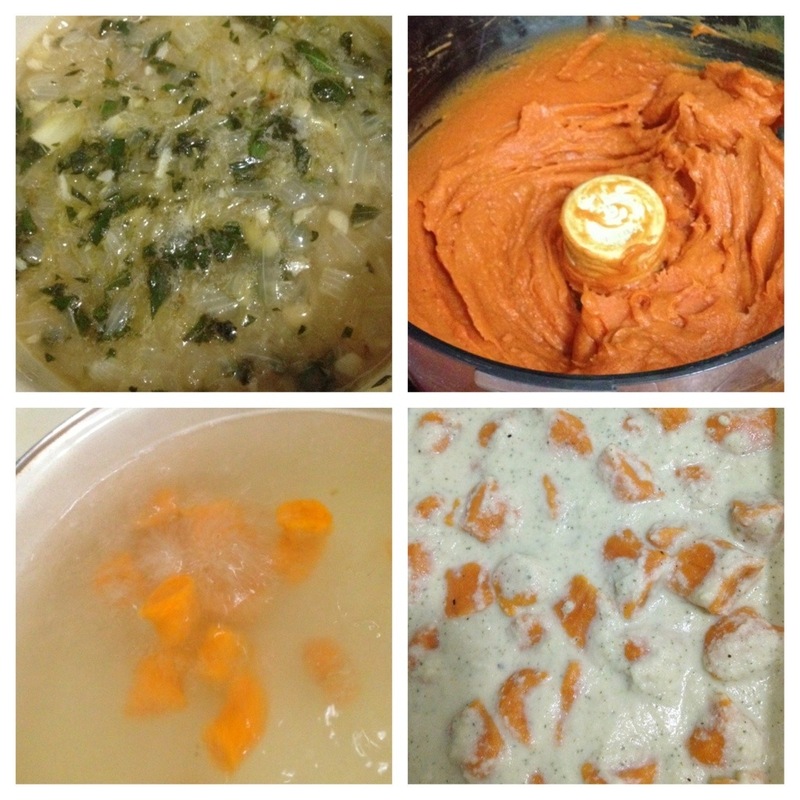 Another deviation from my norm: I used a food processor for the sweet potatoes. There were so many – I was making a double recipe. But I’m sure it would have worked fine with the immersion blender too!! More like me: I didn’t peel the sweet potatoes – no reason to! The skins are so good for you and when you’re blending it all up anyway you don’t even notice them. – Whipped sweet potatoes are amazing all by themselves – I was tempted to stop there! – If you’re planning on refrigerating the final product and bringing it to a dinner party 2 days later, wait to put the sauce on until afterwards – they got a little mushy, I’m sorry to say. – No matter what the recipe says, block out a whole night! Seriously took forever – seriously totally worth it. I’ve made this too, a couple of different ways. 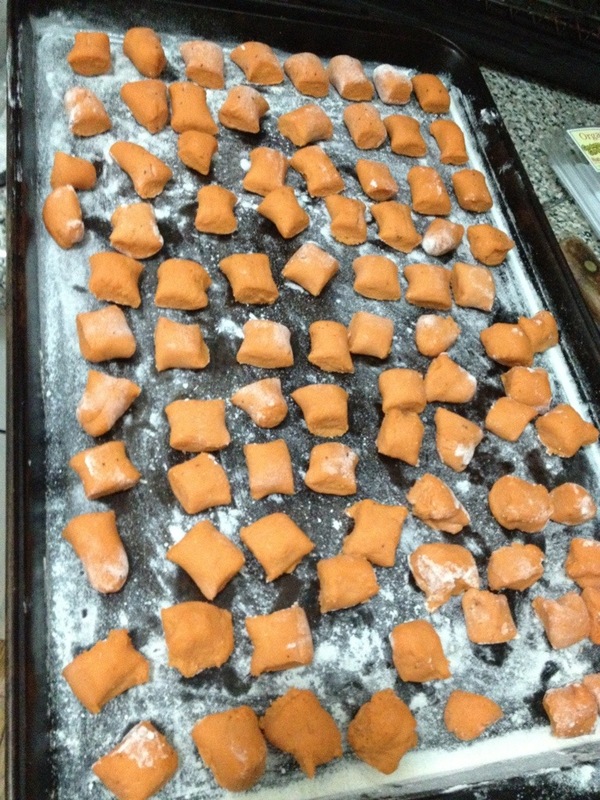 SP gnocchi is also really nice in a simple sage butter (Earth Balance works great) sauce.